this explains why those 3 Iranian weightlifters were rejected by IWF. apparently they were not alone ! more than 70 weightlifters had the same problems ! By the way, can provisional results be found anywhere? I'd like to know the results of today's competitions, even though I know there were no A groups yet. 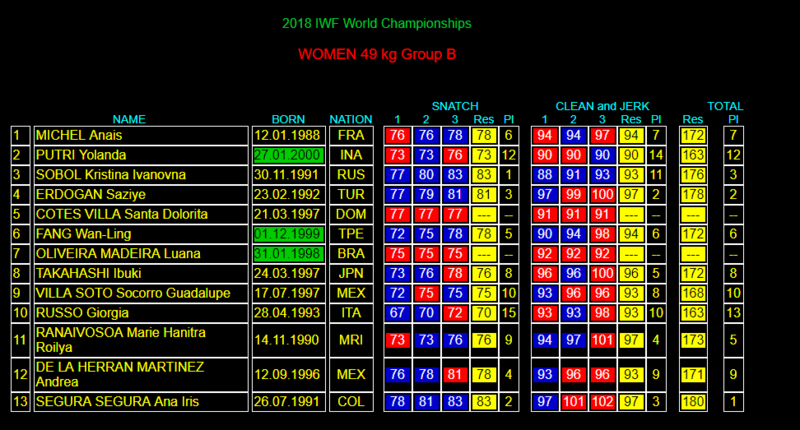 So last year's bronze medalist was in the B group now and won it with 180kg, 2kg less than her bronze result of last year. When is scheduled next session?